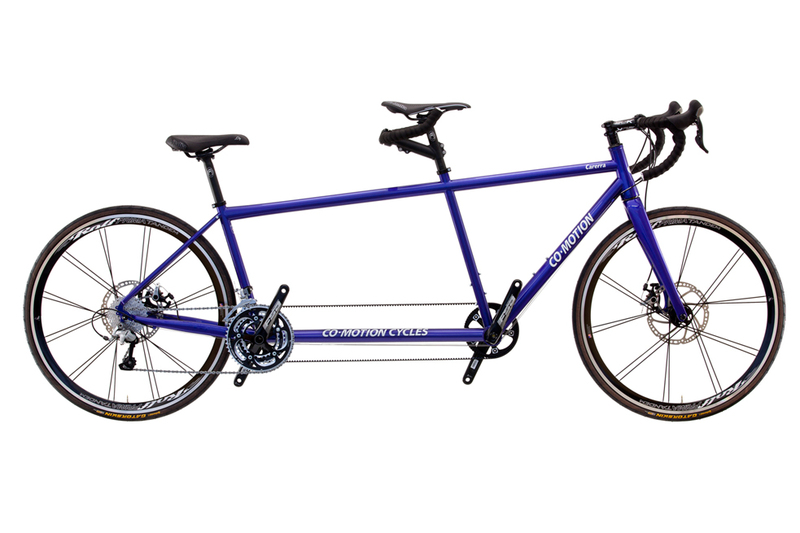 Co-Motion designed zonally-butted Reynolds 631 air-hardened chro-moly tandem tubing, Carbon Disc Fork,Shimano Ultegra equipped with 203mm rotor TRP Spyre disc brakes. 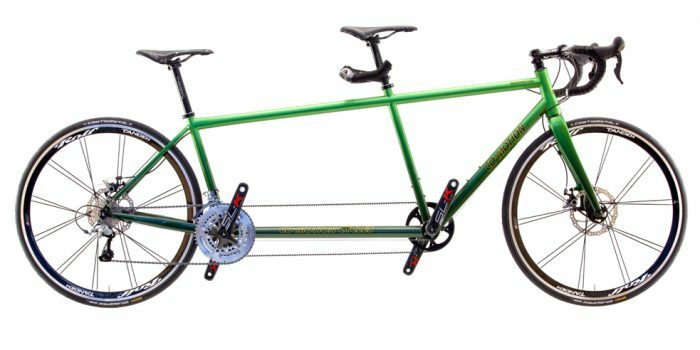 Gates Carbon Drive timing belt, Rolf Prima tandem disc wheels,rack and fender brazeons round out this tandem. 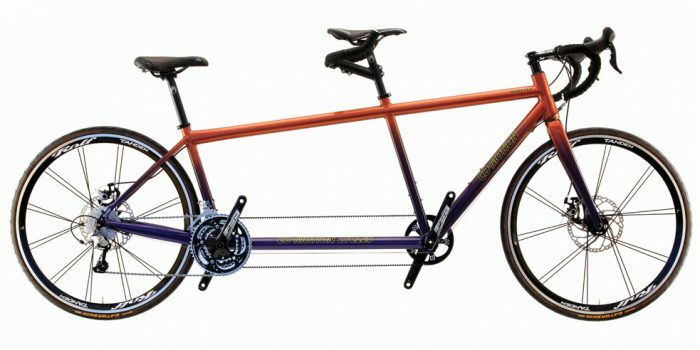 The fast and touring tandem! 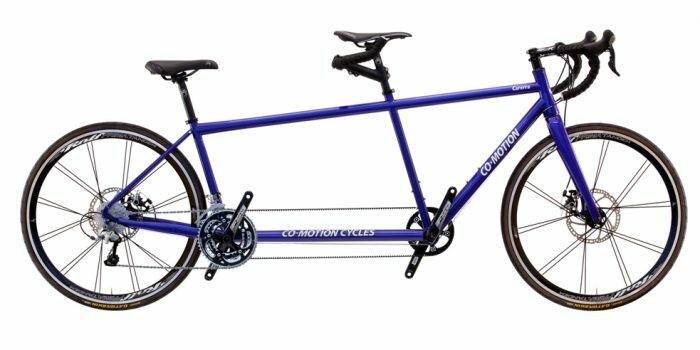 Co-Motion’s 2nd lightest tandem made from Co-Motion's designed ACM Ultra 7 aluminum tubing. Stretching to accommodate any tandemist, from three feet tall, to over six feet tall making it perfect for families. 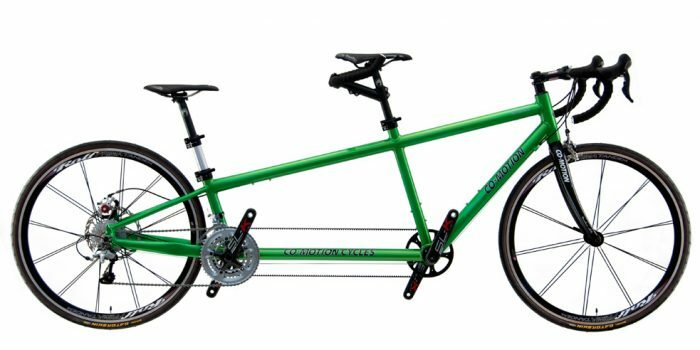 Incredible lightness and speed for exhilarating road riding or racing in a superbly hand built package.